One nice feature in JUnit 4 is that of Parameterized Tests, which let you do data-driven testing in JUnit with a minimum of fuss. It's easy enough, and very useful, to set up basic data-driven tests by defining your test data directly in your Java class. But what if you want to get your test data from somewhere else? 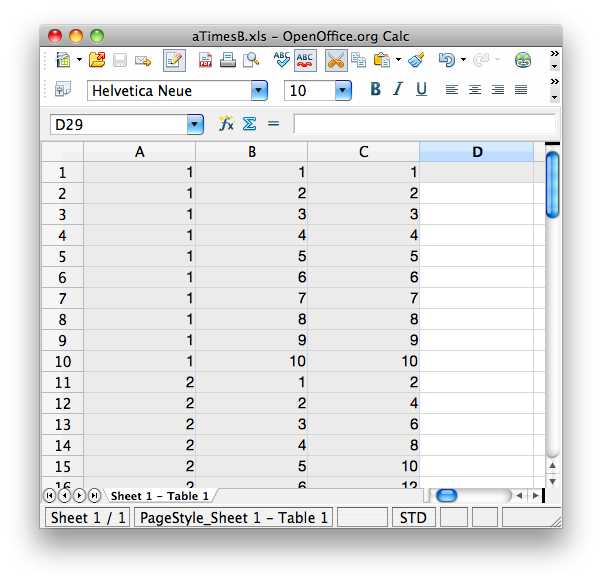 In this article, we look at how to obtain test data from an Excel spreadsheet. Parameterized tests allow data-driven tests in JUnit. That is, rather than having different of test cases that explore various aspects of your class's (or your application's) behavior, you define sets of input parameters and expected results, and test how your application (or, more often, one particular component) behaves. Data-driven tests are great for applications involving calculations, for testing ranges, boundary conditions and corner cases. The test class has member variables that correspond to input values (numberOfTweets) and expected results (expectedFee). The @RunWith(Parameterzed.class) annotation gets JUnit to inject your test data into instances of your test class, via the constructor. Data-driven testing is a great way to test calculation-based applications more thoroughly. In a real-world application, this Excel spreadsheet could be provided by the client or the end-user with the business logic encoded within the spreadsheet. (The POI library handles numerical calculations just fine, though it seems to have a bit of trouble with calculations using dates). In this scenario, the Excel spreadsheet becomes part of your acceptance tests, and helps to define your requirements, allows effective test-driven development of the code itself, and also acts as part of your acceptance tests.